Bring this popular dish to your home. 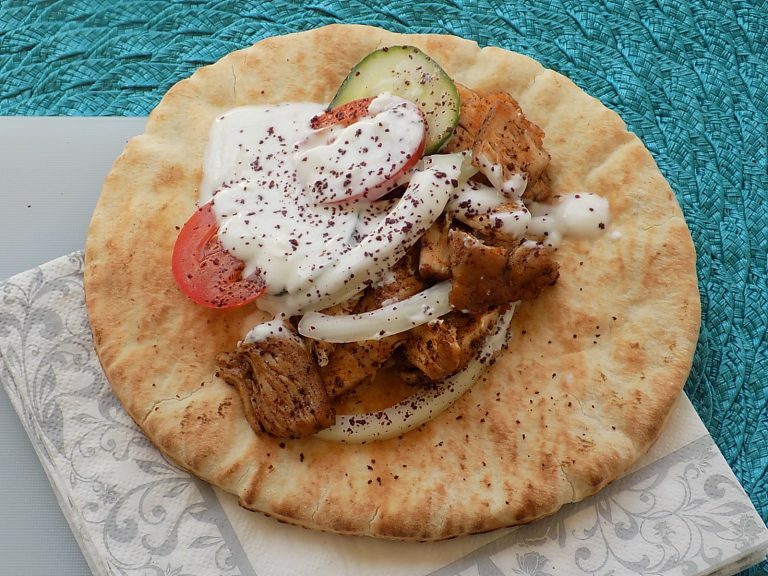 Chicken Shawarma with sumac and baharat spices makes a good party dish and burger-alternative. If you can marinate the chicken in advance, it will intensify the flavor. The dressing basis is made with yogurt instead of mayonnaise. It’s lighter and makes up for the double oil in the chicken preparation. You might sprinkle it with extra sumac. In a BOWL, add romaine lettuce with tomatoes, cucumber, and tomatoes. Season with lemon juice, olive oil, salt, pepper, and Greek oregano. Add feta cheese and/ or black olives. Mix well. Cut potatoes in the size of large French fries. Mix with Shawarma Spices , salt to taste, and 3 tbsp olive oil. Bake in the oven for about 30 minutes, turning midway. In a BOWL, mix 2 tbsp oil with Shawarma Spices  and salt to taste (1 tsp recommended). Add chicken, mix well until evenly coated. 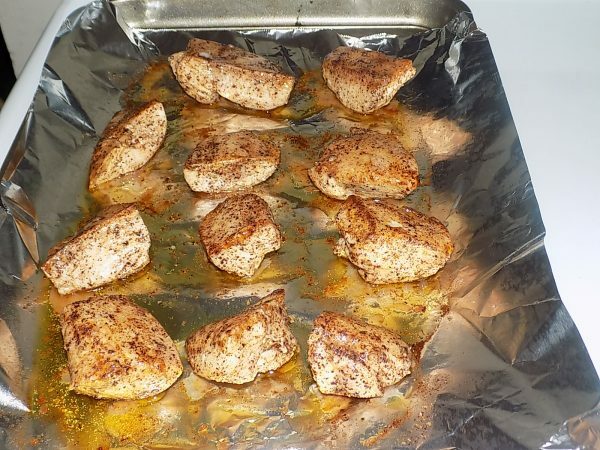 On a BAKING SHEET lined with aluminum foil, spread chicken evenly. Roast in the OVEN for 15 minutes, turning pieces midway. 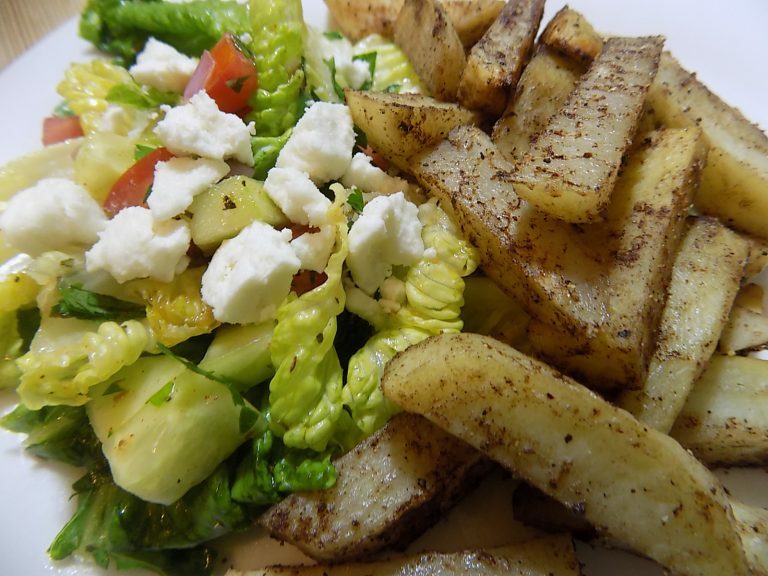 For the dressing, in a BOWL, mix yogurt, lemon juice, garlic, salt to taste, Shawarma Spices , and ½ tsp oil. 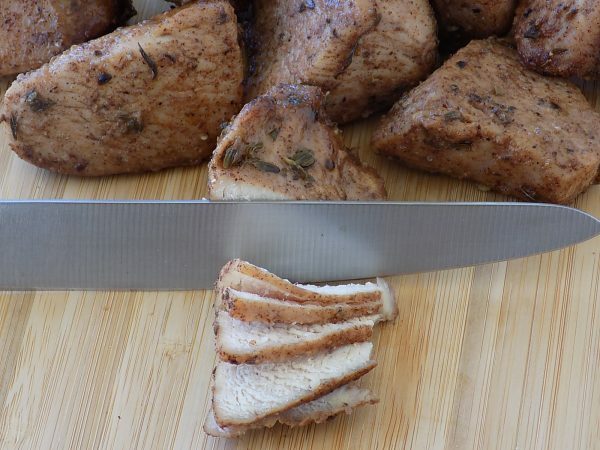 Cut the roasted chicken in thin slices. Toss with Shawarma Spices . Heat 1 tbsp oil in a large PAN. Quickly stir-fry the chicken slices until all sides are brown and crisp. 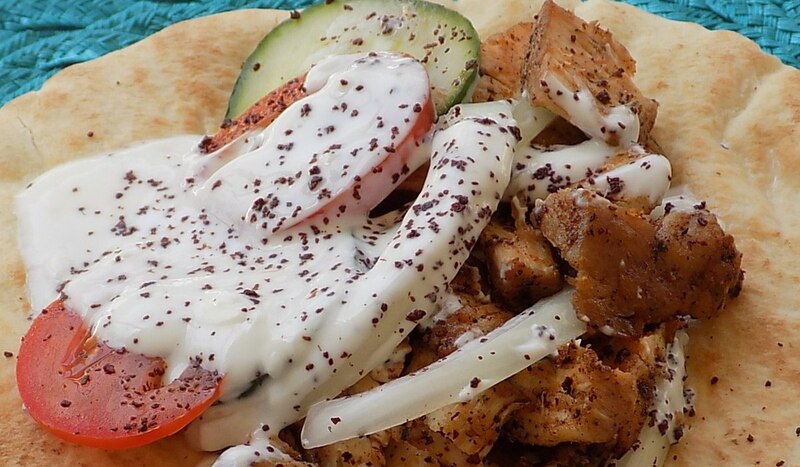 Serve on pita bread topped with vegetables and yogurt dressing. * If you have time to prepare the chicken in advance, marinate (step 2-3) and let it rest in a covered BOWL in the refrigerator up to 24 hours.